Designed in 1921 in the Georgian Revival Style, the Down Town Club exudes the energy of the Industrial Revolution – an age of modernization and luxury. 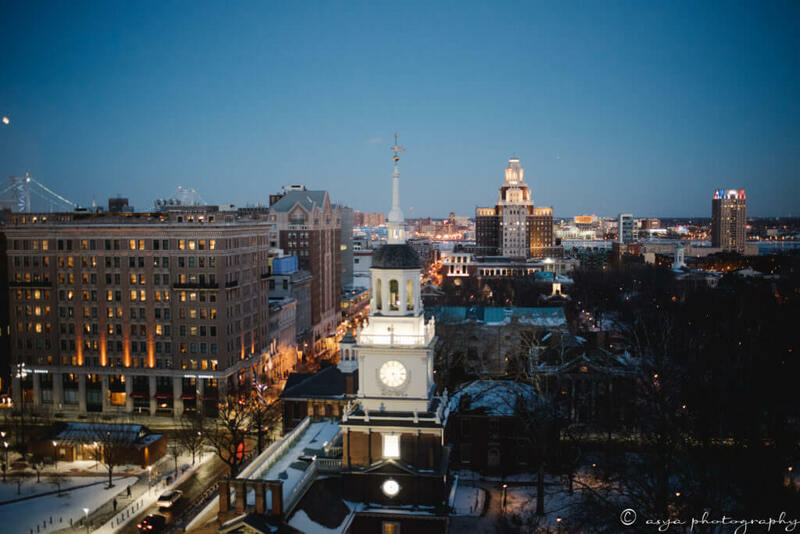 It’s location in Old City, just across the street from Independence Hall, offers incredible views of Independence Mall, all the way to the Ben Franklin Bridge and Delaware River. 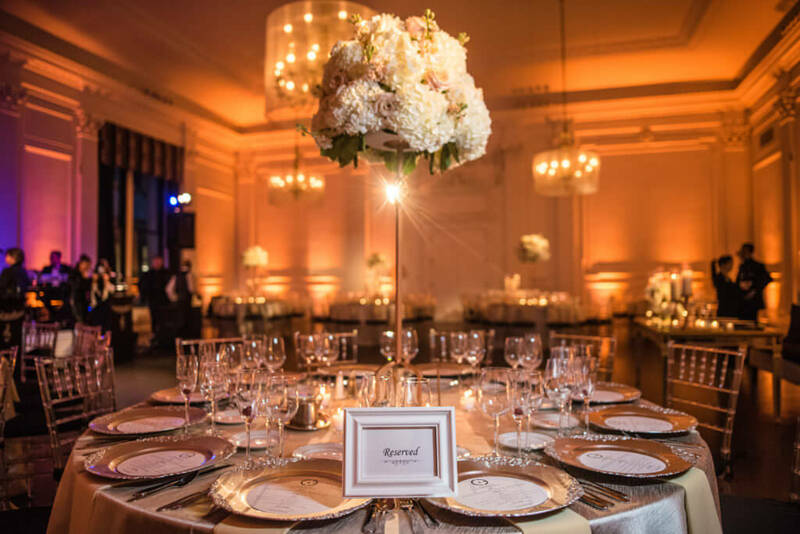 The historical venue features inlaid marble floors and hand-carved wood moldings paired with sleek, minimal furnishings that mimic Philadelphia’s own blended skyline of modern design and colonial styling. With its original brass chandeliers that are updated with sheer organza drum shades, towering ceilings and elegant draperies, guests feel chic and stylish as they take in the panoramic views of the city in the stylish venue that embraces the depth and history of a space nearly a century old. From the moment guests enter the Down Town Club, they will truly feel like they are a part of a storied Philadelphia affair. © 2019 Cescaphe. All Rights Reserved.